Hydrotherapy has been shown to reduce aches and pains with a combination of powerful massage therapy and heat. 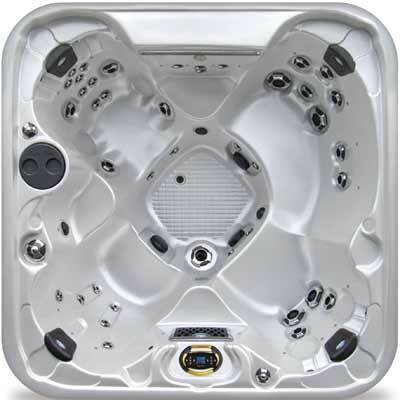 Loaded with high-volume, sophisticated massage jets and four full-therapy seats, the Zenith Curve certainly offers the ultimate spa experience. 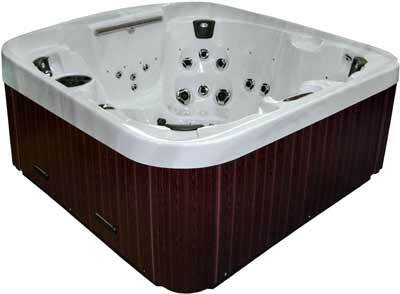 With five massage seats and 2 cool down seats, everyone can relax with just the right amount of pressure without diverting water from other seats.The Exclusive 24" waterfall can melt away your stress with the soothing sounds of a cascading waterfall and warm water running down your neck. Dimensions: 81.5" x 81.5" x 40.25"